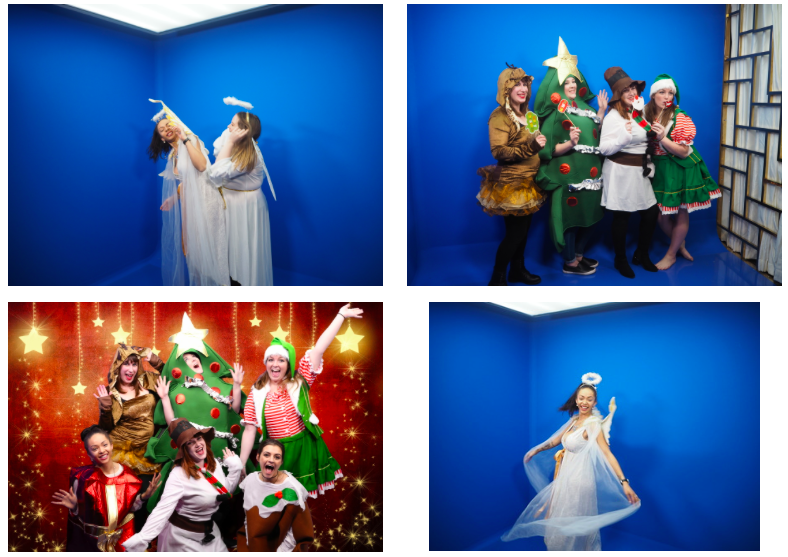 So what do you get when you have two sea shipping containers, some blue screen and a load of hilarious outfits? Well a professional pop-up photo studio of course! All us local bloggers were invited down to the new intriguing gold box in the Guildhall Square to see what all the fun was inside. It’s kind of like a Tardis, from outside it doesn’t look all that big but inside is two studios (that double as changing rooms) a sofa area and enough room to have loads of great fun. 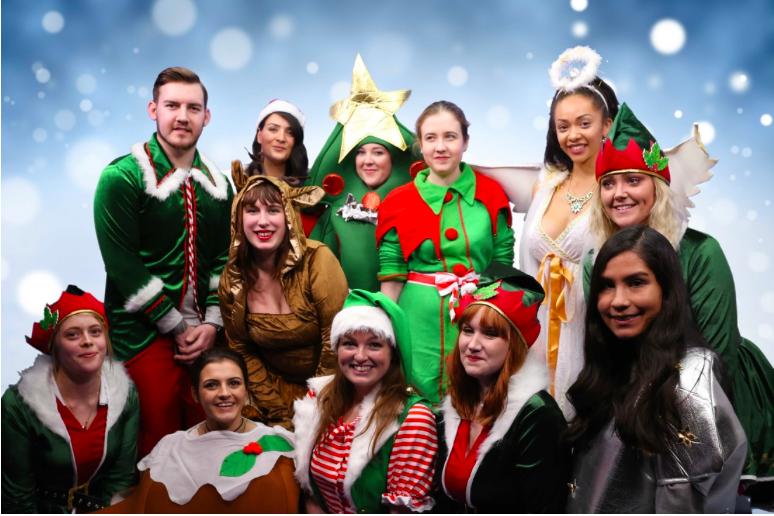 There’s a catalogue of costumes ranging from elfs to full blow Christmas trees and its great festive fun. I’ve not laughed that much in a while! We all chose our costumes and got into the swing of things, first I was a present. I even popped my hands out the top of the costume to look like a bow! We had some solo shots and also ones as a group or with corresponding costumes eg me with the Christmas tree with Anna inside! My second costume was a little more girly and I opted for the angel. I loved it and twirled around like a true angel obviously would…. We all had so much fun and danced around, pulled faces and laughed all night. The pop up studio offers shoots from just £15 and that includes a free print for you to take home! You also get access to all your photos in a downloadable file and can order them in tshirts and mugs and more. It’s the perfect personalised gift, or even something to make your Christmas cards from! Book your place or find out some more information in the links below. Thankyou Cue Camera for such a fun event! Event in collaboration with Cue Camera, thanks for the fun!